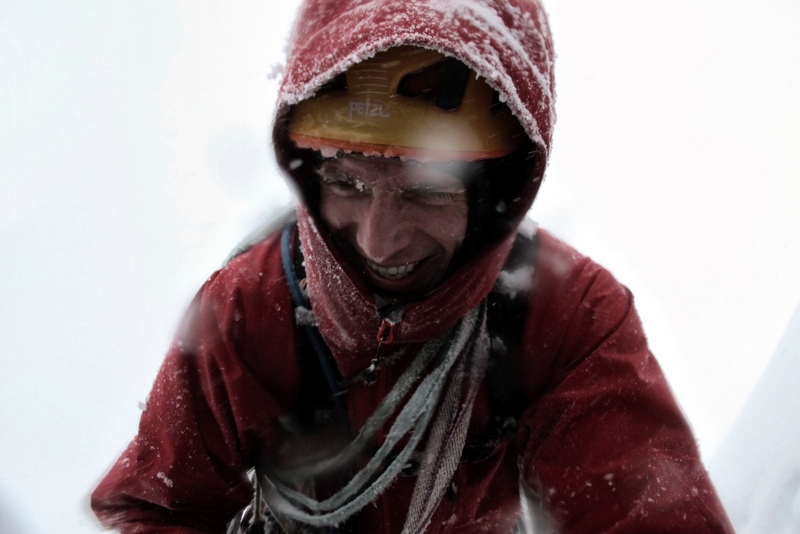 The purpose of mountain clothing is to keep you warm, keep you dry from sweat and protect you from snow, rain and wind. No single piece of clothing will provide all of these functions, but a layering system will. What is a layering system? Depending on prevailing weather conditions and the level of your physical output, these layers can be added or removed to maintain your comfort. If all the items are lightweight and packable then they will easily fit in your pack. A base layer is worn next to the skin and can be made from natural or synthetic fibres. Its primary function is to keep you dry from sweat and it does this by wicking perspiration away from the skin and pushing it outwards. Unlike, for example, a cotton shirt that would become wet and heavy with sweat (and then cold once movement stops), a high-quality base layer will keep you dry and comfortable for extended periods. 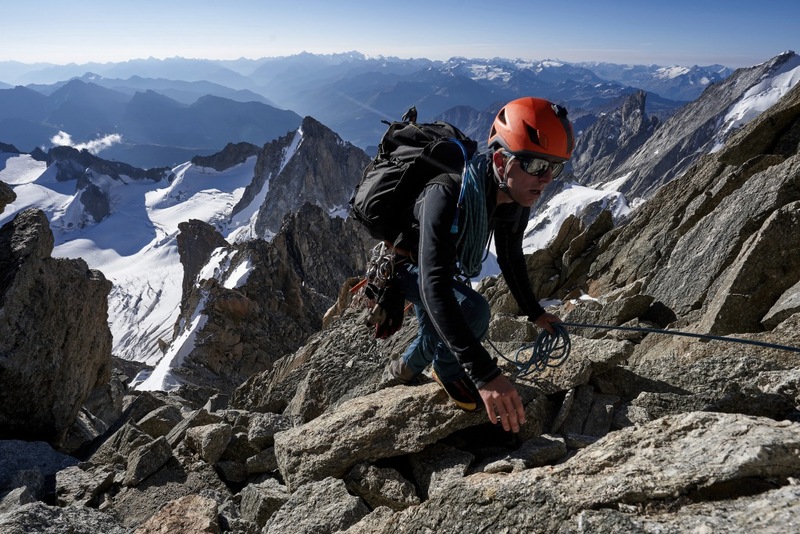 A base layer can also provide warmth, so if your intended use is for skiing or winter climbing then a ‘winter weight’ garment, such as the Erling or Heimdall, should be chosen. It can be worn on its own for highly aerobic activities in winter, or on warm days. Base layers made from either natural or synthetic fibres have different performance characteristics, so you can make a choice on the basis of your own priorities. In general, garments made from synthetic fibres, such as the Erling, will be easy to care for and maintain, and will normally be a less costly option. Natural fibres, such as Merino wool used in our Heimdall, have the advantage of being more odour resistant. If you’re likely to be wearing your base layer for an extended trip and without the ability to wash it, a natural fibre option will keep odour at bay more effectively. A synthetic option will be more than adequate for a couple of days consecutive use. A mid layer is worn on top of the base layer and its main purpose is to keep you warm. A good mid layer will also further wick away sweat vapour. Fleece is one of the most common mid layer materials, such as used in our Magni and Hemming, although down is an especially effective insulator for cold conditions. The expected temperature for the coldest part of your day or trip should guide your choice here. If mild, a thin fleece-based mid layer will suffice. However, if cold, you should consider a down mid layer such as the Fenrir or Thorsen. You may even choose to wear both a thin fleece and a lightweight down jacket as part of your mid layering. 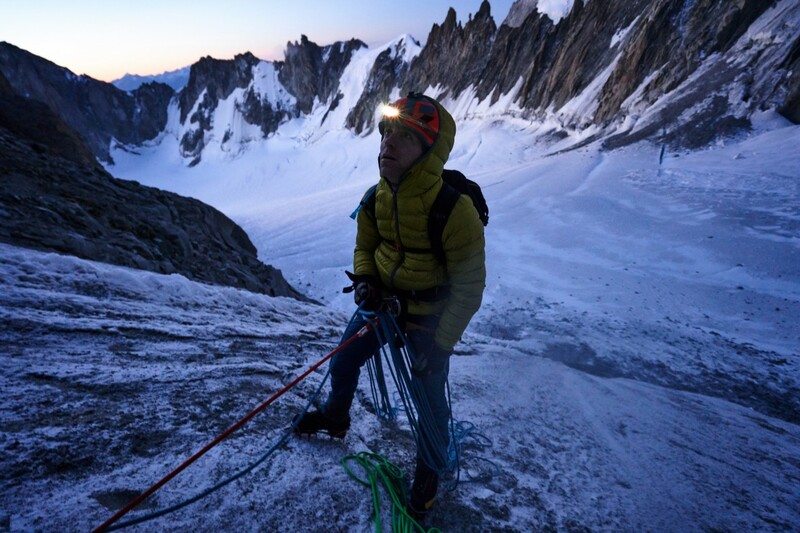 In especially frigid conditions or start-stop activities such as climbing, this is an effective and versatile means of keeping warm but not overheating. What is a shell layer? A shell layer is your outer defence against snow, rain and wind. A high-quality shell layer will also be breathable, meaning that sweat vapour can be exported outwards whilst rain and snow are blocked. It will have large pockets so that you can comfortably fit in maps, food, gloves – or any other essentials you need to hand. These pockets should be well-positioned so as not to be obstructed by rucksack straps or a harness. A shell jacket or trousers should be lightweight and packable, so that you can easily stow it in your pack if not required. It should also be tough and tear-resistant as this is the layer most often exposed to sharp rock, ski edges, crampons or ice axes. 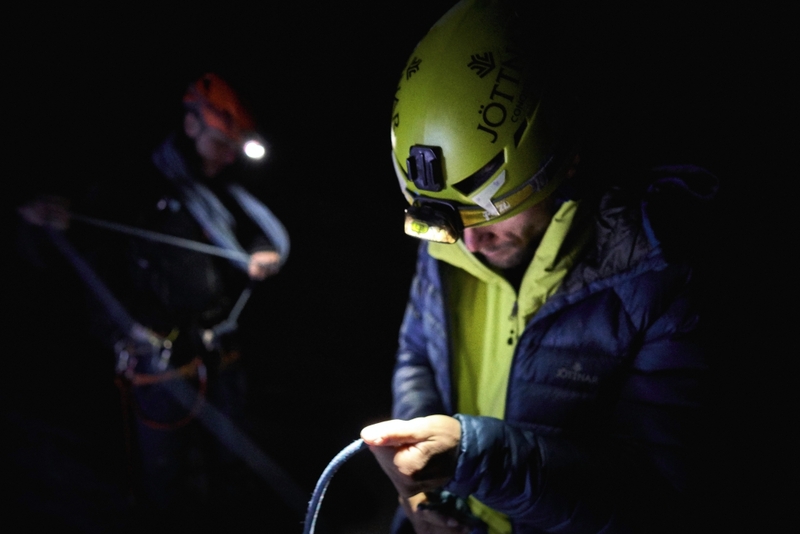 Although not designed as a waterproof item, in cold and dry conditions involving start-stop activities, a large down jacket such as our Fjorm can be worn as the very outermost layer. Examples of this would typically be sitting on a chairlift, belaying or quickly stopping for lunch – where there is a requirement for a quick but temporary hit of warmth. In this case the jacket would be thrown on when movement stops and then just stuffed away in your pack once movement begins again. Click here to see our full range, broken down by layering categories. 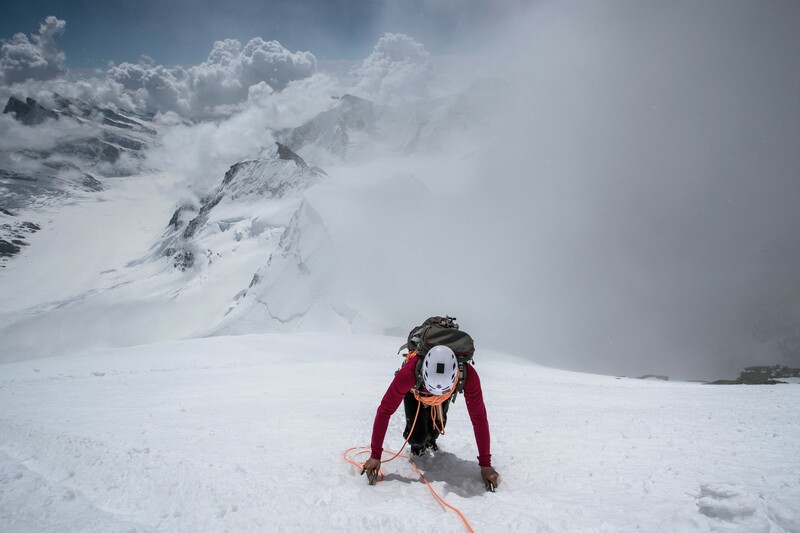 Check back into LEGEND soon for our activity-specific guides on layering for winter climbing, resort skiing, ski touring, mountaineering and winter walking.